Convertible mortgage loans give borrowers greater flexibility when it comes to choosing an interest rate. What is a convertible rate mortgage? A convertible rate mortgage starts out as an adjustable-rate mortgage but can be changed to a fixed-rate mortgage after a specific amount of time. This gives borrowers more options when it comes to paying back their home loan. Convertible mortgages also offer flexible payment schedules, whether weekly, bi-weekly, monthly or semi-monthly. What are the benefits of a convertible mortgage? Convertible mortgages allow borrowers to make a home purchase while still providing the possibility to take advantage of decreases in mortgage rates. Instead of being forced to take out an adjustable-rate mortgage that may leave you open to rate increases, or locking in a fixed-rate mortgage at a time when interest rates may drop, convertible mortgages act as a compromise between the two. Borrowers start out with an adjustable-rate mortgage that can be converted into a fixed-rate mortgage if rates drop. However, there may be fees associated with converting a convertible mortgage from adjustable-rate to fixed-rate. 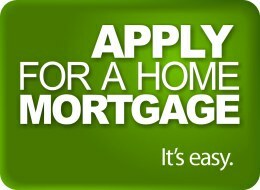 How do I get a convertible rate mortgage? 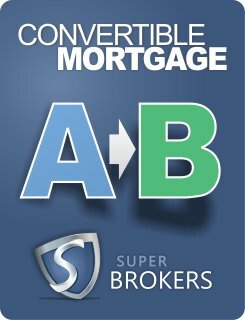 Contact Super Brokers to speak with a mortgage professional who can help you decide if a convertible rate mortgage will suit your needs. Keep in mind that the down payment must be 5 percent or higher with a maximum amortization of 25 years.